ABSTRACT: Airfoils generate lift in engineering applications such as for airplanes, wind turbines, automotive spoilers, etc. For accurate CFD analysis of airfoils, the quality of the mesh is of paramount importance, especially when dealing with turbulent flows commonly encountered in real life applications. Currently there are different tools that are available to improve the quality of the mesh required for CFD studies. 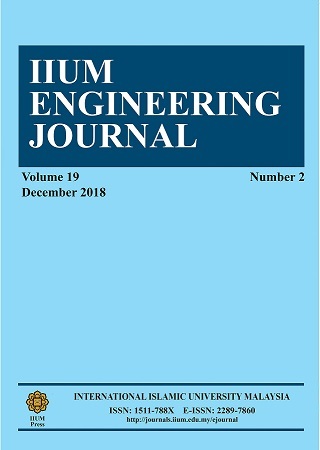 This paper describes a study to assess the significant of the quality of the mesh on CFD analyses of NACA 23012 airfoil by using selected open source tools. The turbulence is modeled using the well-known k-Ï‰ Shear Stress Transport model. For validation, results have been compared with experimental datasets which were obtained from â€œTAG Stuttgart #1â€ tunnel. ABSTRAK: Sayap pesawat dapat menghasilkan daya angkat dalam aplikasi kejuruteraan seperti kapal terbang, turbin angin, spoiler automotif, dan sebagainya. Kualiti pada jaringan adalah amat penting bagi mendapatkan analisa CFD yang tepat pada sayap pesawat, terutamanya apabila berhadapan situasi aliran turbulen sebenar. Pada masa ini terdapat pelbagai perisian bagi meningkatkan mutu jaringan dalam kajian CFD. Kertas kerja ini membentangkan satu kajian bagi menilai kepentingan kualiti jaringan pada analisis CFD bagi sayap pesawat NACA 23012 dengan menggunakan sumber terpilih perisian terbuka. Model turbulen dibangunkan mengguna pakai model k-Ï‰ Shear Stress Transport (SST) yang terkenal. Bagi pengesahan, keputusan uji kaji telah dibandingkan dengan set data yang diperoleh dari terowong "TAG Stuttgart #1â€." JuretiÄ‡ F. and Gosman A. D. (2010) Error Analysis of the Finite-Volume Method with Respect to Mesh Type. Numer. Heat Transf. Part B Fundam., 57(6): 414â€“439. Juretic F. (2004) Error analysis in finite volume CFD. PhD thesis, University of London, Department of Mechanical Engineering. Knupp P. M. (2008) Remarks on mesh quality, 46th AIAA Aerospace Sciences Meeting and Exhibit. Katz A. and Sankaran V. (2011) Mesh quality effects on the accuracy of CFD solutions on unstructured meshes, J. Comput. Phys., 230(20):7670â€“7686. Baker T. J. (2005) Mesh generation: Art or Science?, Prog. Aerosp. Sci., 41(1):29â€“63. OpenFOAM Introductory Course Material: Module 3. [http://www.wolfdynamics.com/our-services/training/openfoam-intro-training.html?id=50]. Airfoil simulations - A little contribution for meshing [http://code-saturne.org/forum/viewtopic.php?f=10&t=957]. Gmsh: A three-dimensional finite element mesh generator with built-in pre- and post-processing facilities [http://geuz.org/gmsh/]. Miley S. J. (1982) A Catalog of Low Reynolds Number Airfoil Data for Wind Turbine Applicationsâ€, Prepared by Department of Aerospace Engineering, Texas A&M University for Rockwell International Corporation, USA. Menter F. R., Kuntz M., and Langtry R. (2003) Ten Years of Industrial Experience with the SST Turbulence Model, Turbul. Heat Mass Transf., 4:625â€“632. Knowles R. D., Finnis M. V., A. J. Saddington, and Knowles K. (2006) Planar visualization of vortical flows, Proc. Inst. Mech. Eng. Part G J. Aerosp. Eng., 220(6): 619â€“627.